Posted in Climate and Ag in the news, El Nino and La Nina, Tropical weather. 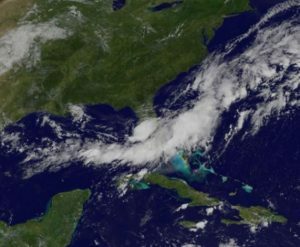 Daniel Brouillette of the Florida Climate Center posted a report describing Tropical Storm Emily, which made landfall near Tampa Bay on July 31, 2017. 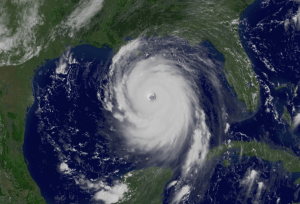 It caused a small storm surge, gusty winds and heavy rains. You can read the details at http://climatecenter.fsu.edu/images/docs/TS_Emily_Fla_summary_2017.pdf. 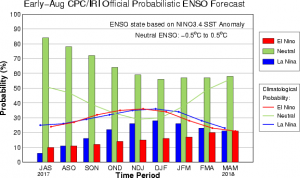 Posted in Climate and Ag in the news, Climate outlooks, El Nino and La Nina, Tropical weather. 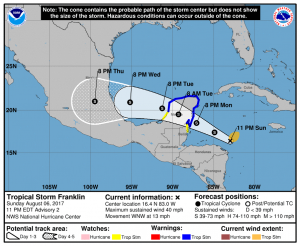 As of 11 pm, Tropical Storm Franklin has formed and is headed for the Yucutan peninsula of Mexico. 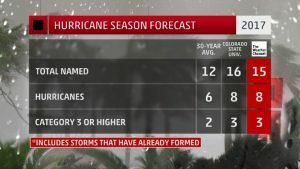 It may become a hurricane before it makes landfall. No impacts are expected for the Southeast. You can read more at http://www.nhc.noaa.gov. I also use http://www.spaghettimodels.com for additional geeky tropical weather information. 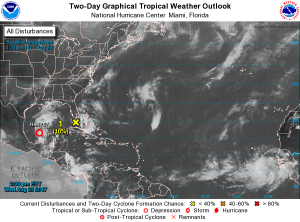 Posted in Coastal, Tools for climate and agriculture, Tropical weather.